Barewa Management Visit His Highness Muhammad Sanusi II con, The Emir of Kano. Barewa management visited The Emir`s Palace ahead of His Highness hosting the 2017 Kano iTry Youth Rugby Championships 2017. BAREWA WIN NORTHERN LEAGUE THREE YEARS IN A ROW. Barewa went through 2016 unbeaten in the Northern League and to mark the Club`s achievement the annual end of season awards were held at Motor Club. BAREWA WIN NORTHERN LEAGUE 2015.......UNDEFEATED! Barewa ended 2015 on a high, finishing champions of the North yet again, this time undefeated. 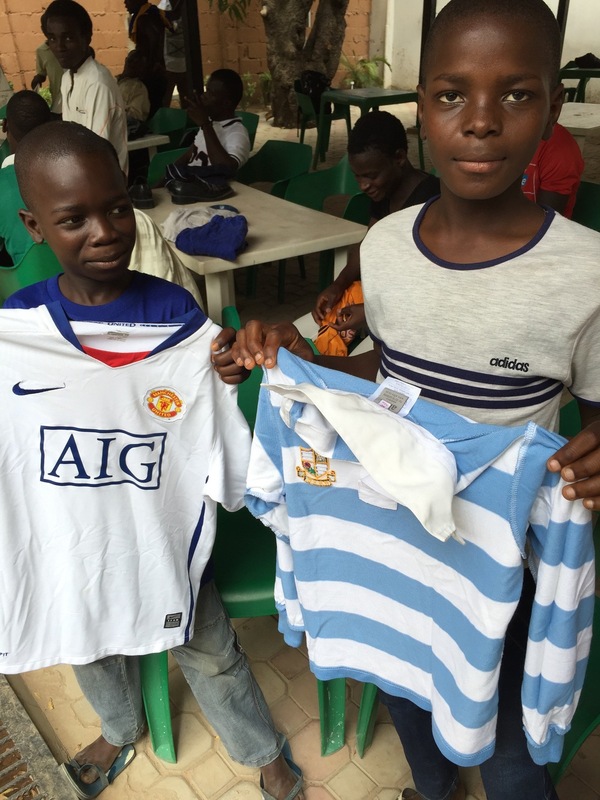 To finish the year both Juniors and Seniors played end of year matches at our home ground, Kano Racecourse. The quality of the Juniors play gives confidence that we can stay at the top for a long time as the supply of up and coming talent is getting better every year, even more so now that the iTry schools programme is in full swing. After the matches,on a chilly Harmattan afternoon, the players retired to Kano Motor Club for sixty bowls of chicken pepper soup and congratulations all round. 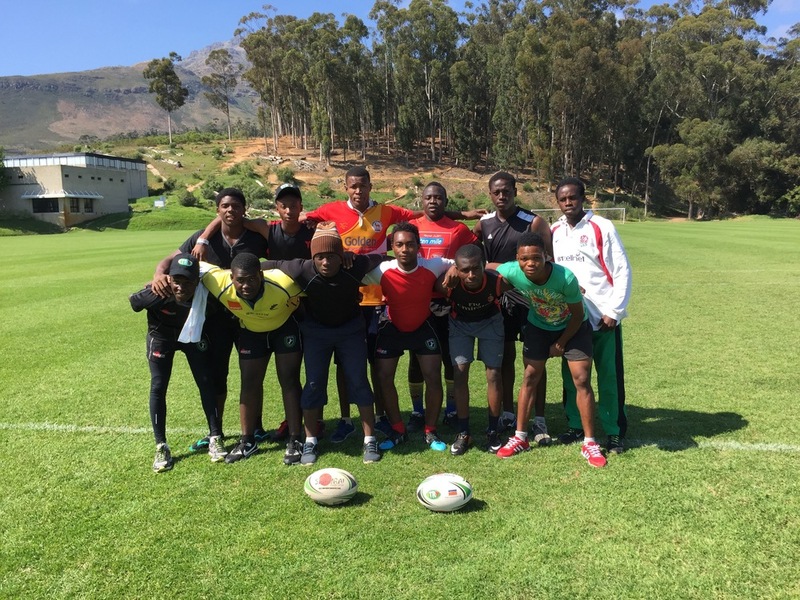 A total of eleven Barewa under 19 players represented iTry Nigeria at the Western Cape 7s held in Stellenbosch, South Africa, September 2015. 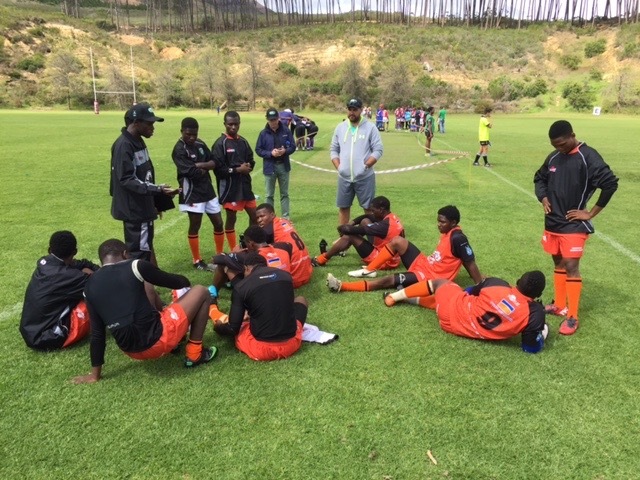 Coached by Barewa Captain Nuhu Ibrahim the team reached the final of the Plate competition as well playing friendy games in Stellenbosch and Khayelitsha. 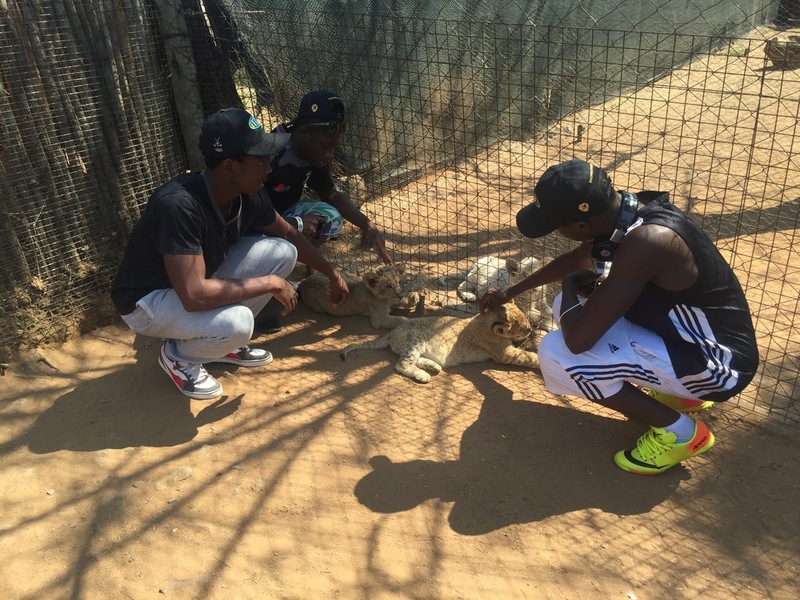 A great deal of experience was gained on and off the field during a most enjoyable tour. Barewa remain unbeaten in the Northern League 2015 after beating Kaduna home and away, 30 - 5 and 5 - 33 respectively. Barewa also emerged victorious at a hostile Zaria 0 - 10 and await the much delayed return match in Kano with confidence. Standout player so far this season is Joshua Effiong at outside centre who has turned into a try scoring machine this season. 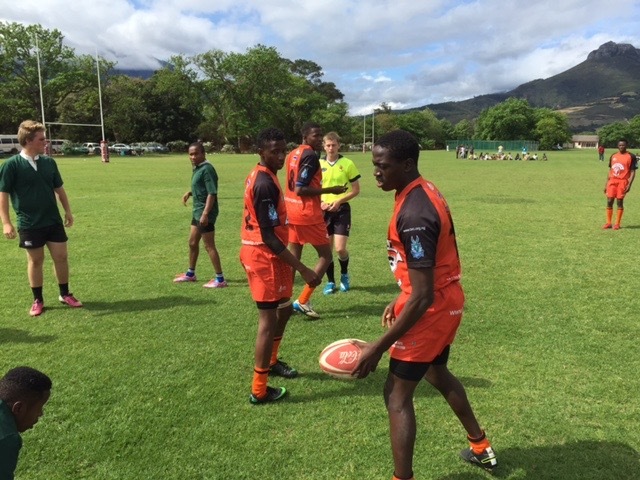 Also an entire generation of junior players have graduated to the 1st XV and made an instant impact, namely Jude Abrakson, Mohammed Umar, Michael Gabriel, Shalom Matthew, Issa Abdulmalik, Daniel Napoli, Gabriel John and Samuel Akpabio aka Gucci. This season has also seen the welcome return of Bashir Usman as well as debuts for new boys Peter John and Zahrudeen Abdul both of whom have made an impact in the forwards. Other victories include Kano Scorpions 0 - 65, Sabon Gari Zaria 27 - 0, and the Lilliker 2015 tournament in zaria. Barewa celebrate winning Lilliker Cup 2015. 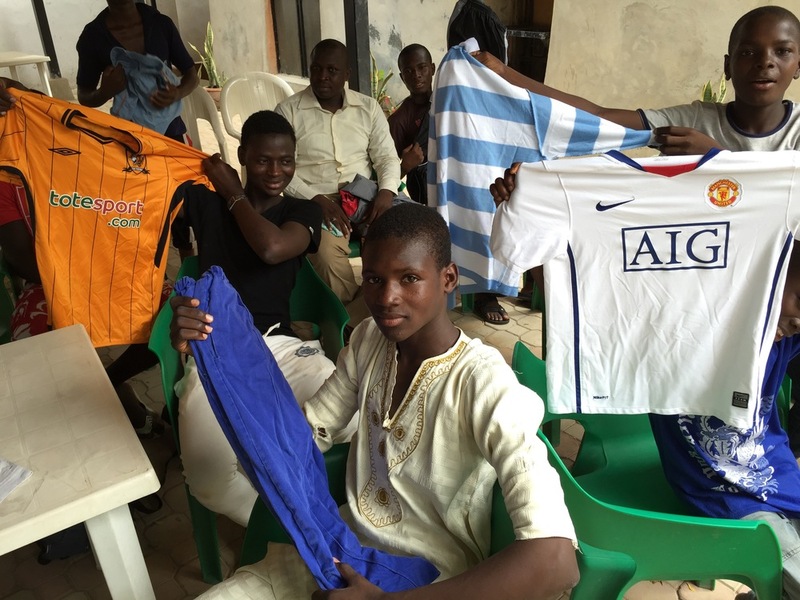 At the pre-season gathering held at Kano Motor Club recently the players were happy to have free training kit distributed. 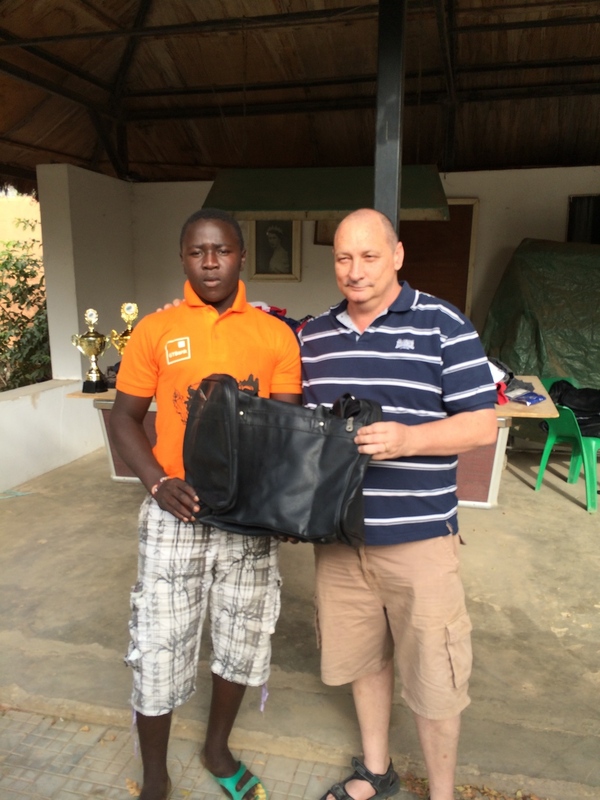 The kit came from English rugby clubs who gave the kit to support the Game. As usual the player who trained most frequently got first choice at the quality kit, but everyone went away happy. Click on the image below to see more pictures. Barewa have once again won the Northern League in Nigeria, losing only one match when they misguidedly allowed the Zaria coach to officiate their match against Zaria! Despite this one setback they performed well all season and numerous juniors were graduated to the senior team, notably Jude Abrakson and Prince Sam. Top try scorer was Joshua Effiong who performed consistently at outside centre. Congratulations to all the players and supporters and best of luck in 2015. 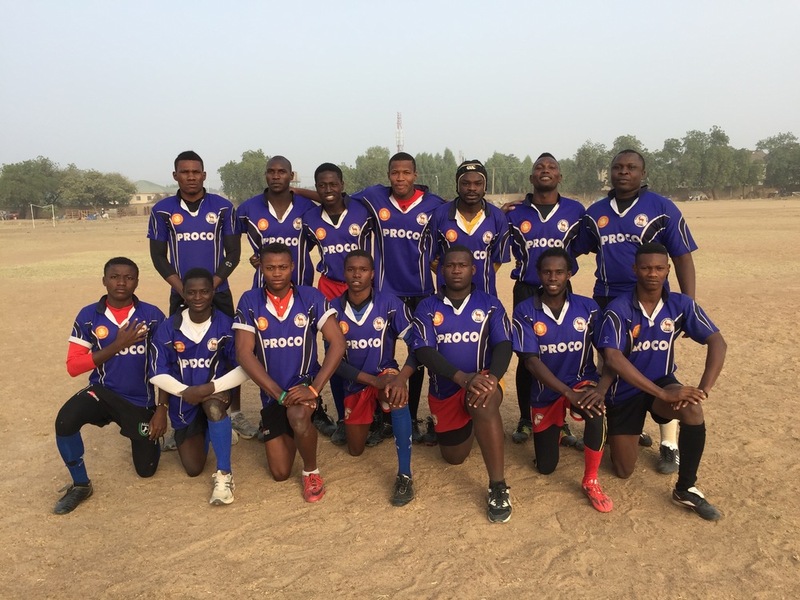 Barewa Rugby held their end of season gathering at Kano Motor Club on 28 December. Committee member Chris Melvin was once again on hand to present the 2014 season Trophies. 1. The number of talented juniors graduating to the senior team in 2014 was heartening. 2. The quality of the current juniors (age 10 - 16 years) is impressive. 3. 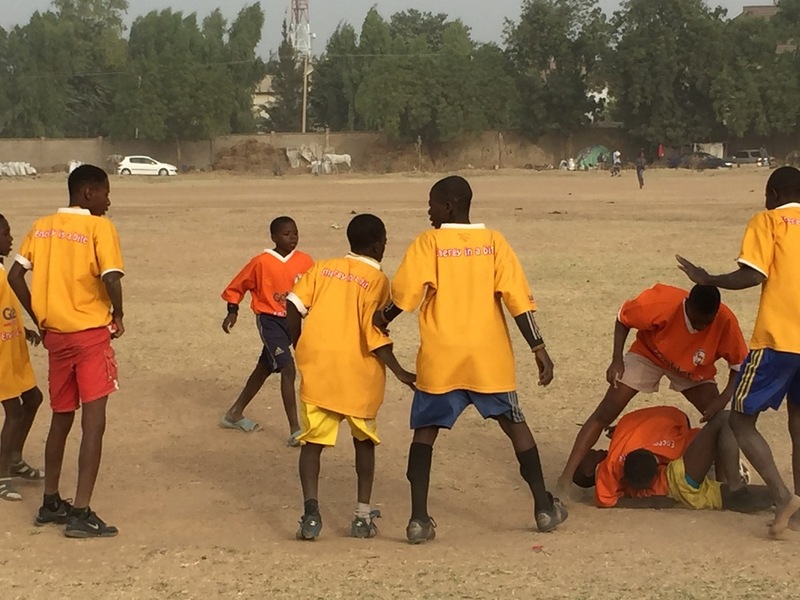 The iTry youth rugby programme now running in Kano would be extended to eight Kano schools over 2015, and in the future produce large numbers of quality rugby players. Finally Nuhu Ibrahim was presented with his Nigeria shirt. Nuhu played for his country numerous times with distinction, including Rabat 2013 when Nigeria qualified for the Commonwealth Games. Barewa start Northern League with away win, defeating Jos. Barewa got off to a good start to the 2014 season with an away win at Jos. The match was a very stop-start affair, and lengthy lectures from the match official slowed the pace of the game down even further. Barewa's game plan allowed them to contain Jos, but neither team was able to find any rhythm or fluidity. The only try of the match was scored by Barewa centre Joshua Effiong when Barewa's rush defence resulted in him intercepting a loose Jos pass, as he sprinted in for the score from 25m out. All in all a very good result to start the season, more especially after enduring a five hour bus ride to get to Jos. This weekend will see Barewa travelling to Zaria, much closer to home and a very different threat, but one which they are clearly ready to face. Scrum Machine - Barewa Style! 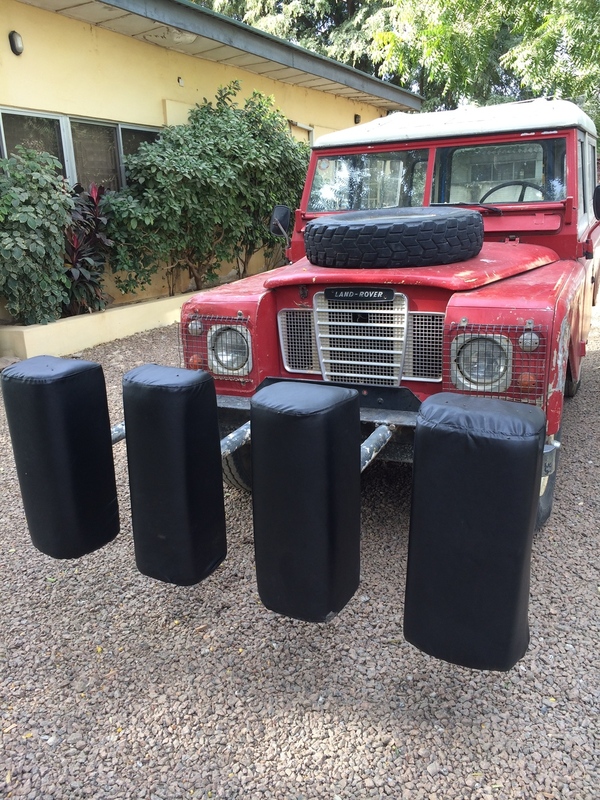 It is fair to say that scrum machines are hard to find in Kano. Therefore we had to use a bit of ingenuity to come up with our own design. We hope you like it, We certainly do. It bolts on to the front of a trusty 1976 Series 3 Land Rover. However we don't drive through the streets of Kano with the device attached as it makes us look like a gang of bank robbers on the way to a job!! 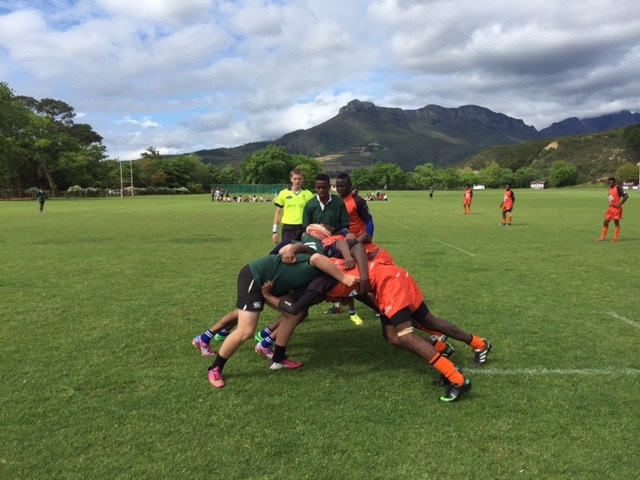 So far we've had one scrum session on the machine and the results are clear, with improved technique and co-ordination. Scrum session in full swing. Not perfect, but getting there. Gathering at Kano Motor Club, Barewa celebrated their double victory at the recent Lagos 7s. 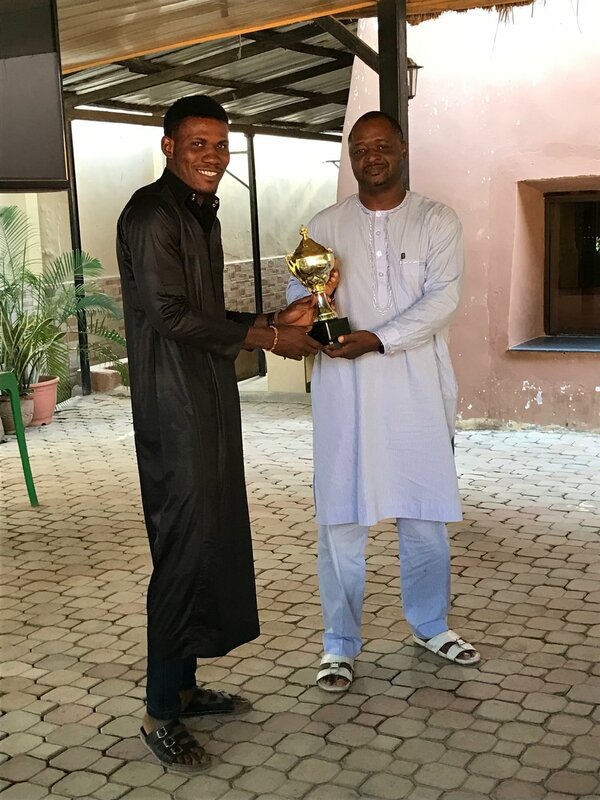 Exco member Chris Melvin was on hand to present the annual awards and announce the good news that Barewa Trustees have donated N400,000 for new kit 2014. Barewa made a clean sweep at this weekend's Lagos 7s. The Juniors defeated Toyibat to take the under 19 title and the seniors defeated Police to take the Cup. The senior team showed amazing determination to defeat Police twice, once in the group stages and again in the final where they shut Police down. 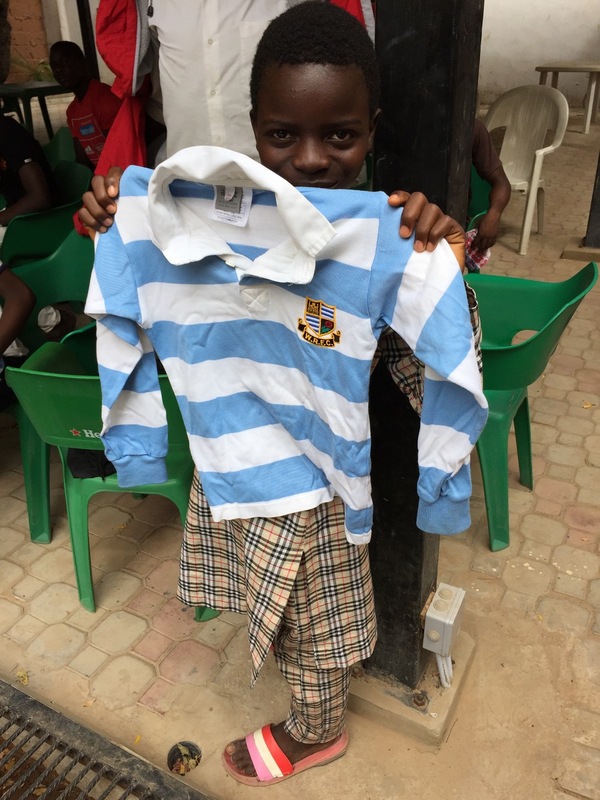 The Juniors were a class apart against all the Lagos schools, and both teams went undefeated over the weekend. It is difficult to single out any individuals but Nuhu and Obi were once again the rapier and the bludgeon, inspiring their teammates. And in the Juniors Hassan Mohammed ran things with authority despite being only 15 years old. Captain Nuhu Ibrahim holds the Cup aloft. 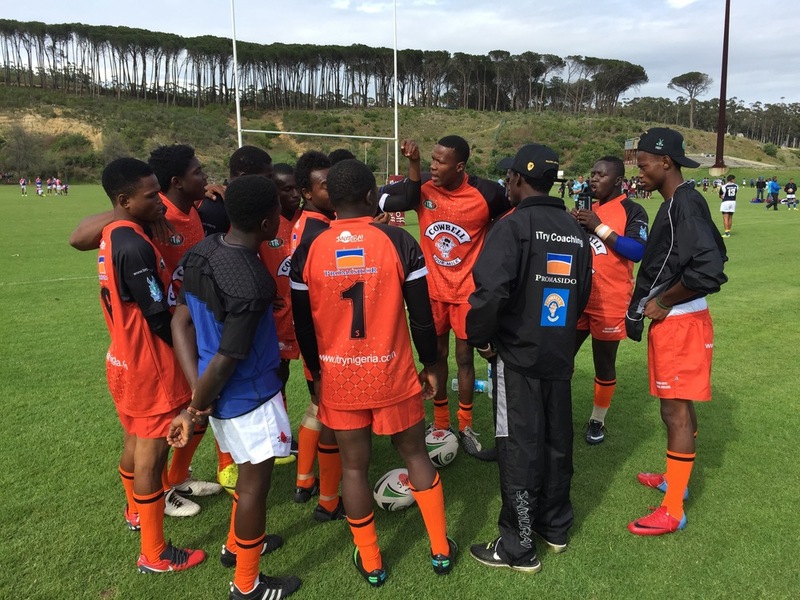 Barewa Juniors prepare for action against Onitolo. Seniors and Juniors together with Team Manager Umar d'Bau. The juniors played the curtain-raiser to the seniors ten-a-side matches. Click on the image below to see more pictures of the action. Preparing for the afternoon's action. The players mark the pitch whilst the lawnmowers are in action! The pitch marking team. Thanks guys! The 'A' team, wearing black and selected and captained by scrum-half Hassan "not-so" Small went ahead by three tries in the first half. However fellow No. 9 Michael's team, wearing blue, raced back into contention by scoring three tries of their own in the second half, but are unable to clinch the win at the end. 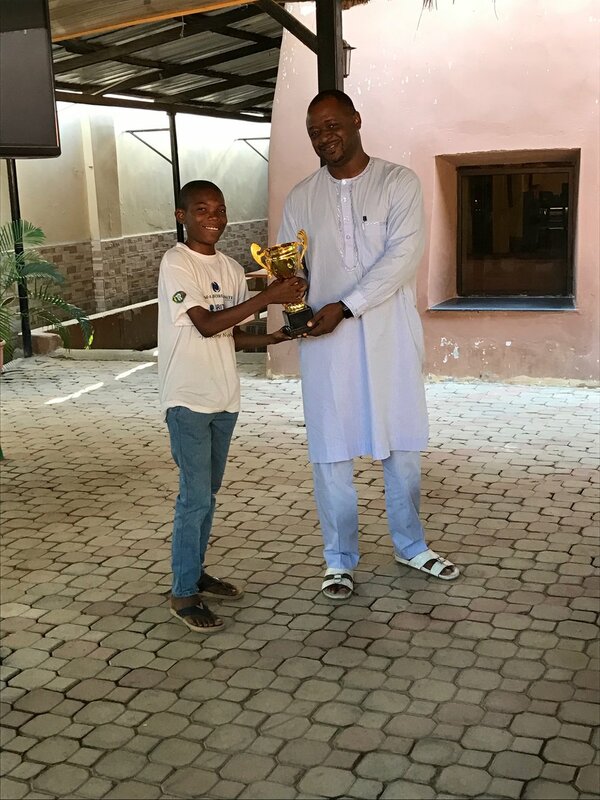 Barewa 'A', selected and captained by Bashir Usman, beat Barewa 'B' by 8 points to 3 at the Racecourse pitch on Saturday 14 September. 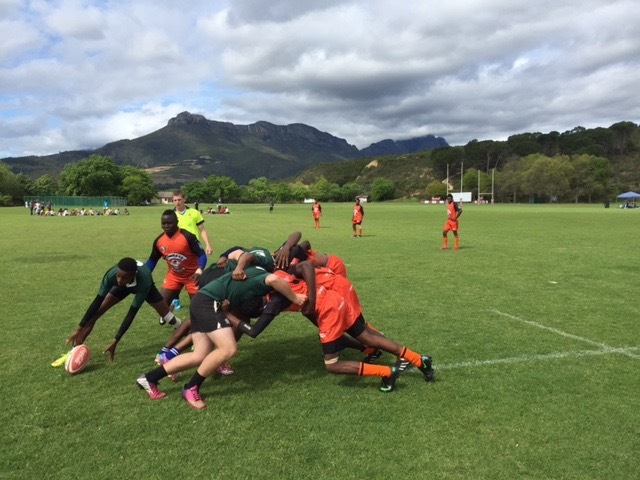 The 'B' team, lead by Joshua Effiong, put up a good display, but made the mistake of being caught offside close to their own try-line which allowed Emme Isibor to charge over for a try despite the efforts to stop him. The good news for the club was that the match allowed five former junior players to make their senior debut, and all performed exceptionally well. The event will be repeated every Saturday until the rains finish and the ground becomes too hard in November. EARLY YEARS 2005 - 2009. 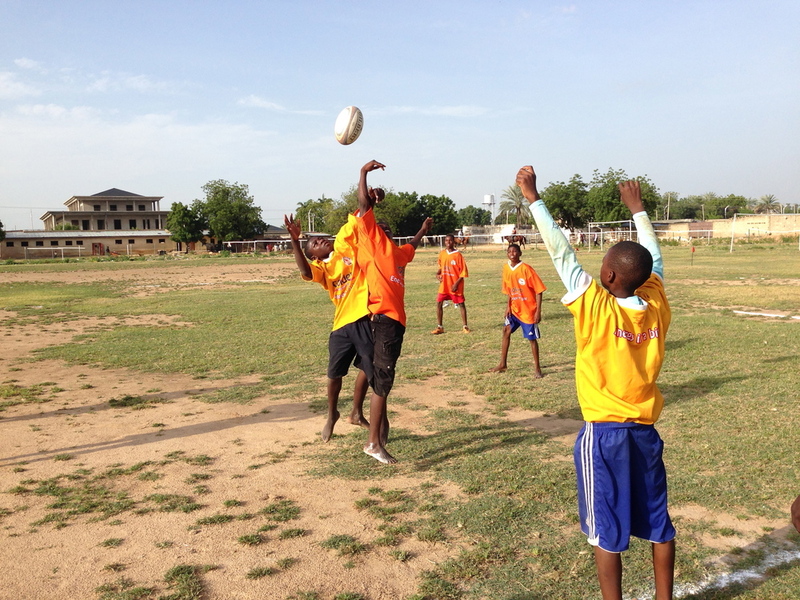 Click on the image below to see more pictures of Barewa Rugby Club. Rain, glorious rain! Finally on 29 April 2013 rain fell on the parched soil of Kano Racecourse. Many rugby people would find it extraordinary that a rugby club could exist in a part of the world where it only rains four months of the year. Barewa rugby have over the years devised ways to overcome this drawback, by practising tackling and rucking etc on the sandier areas of our pitch. 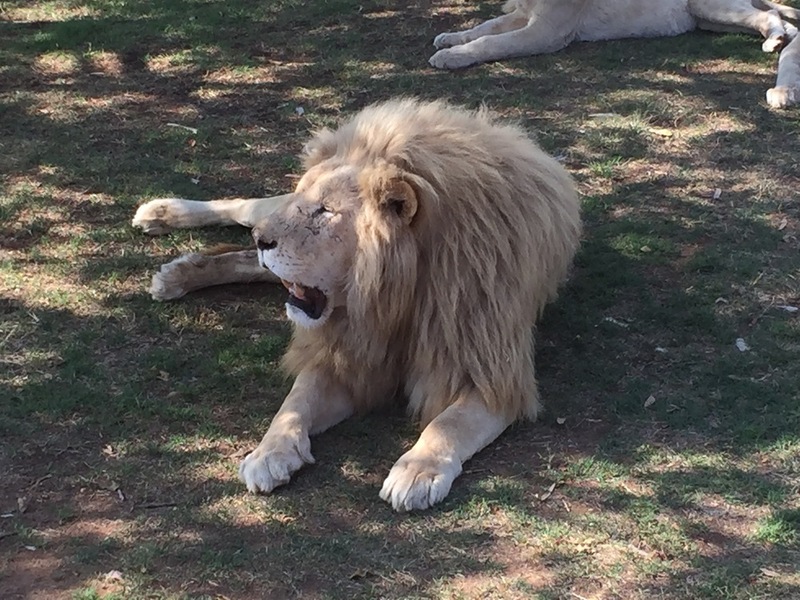 So when the rains arrive each year with the promise of grass - fantastic, soft, green grass - we have every reason to get excited! Rain + dirt = mud! So all you rugby people out there playing on green, manicured pitches, spare a thought for your rugby brothers at Barewa RFC. 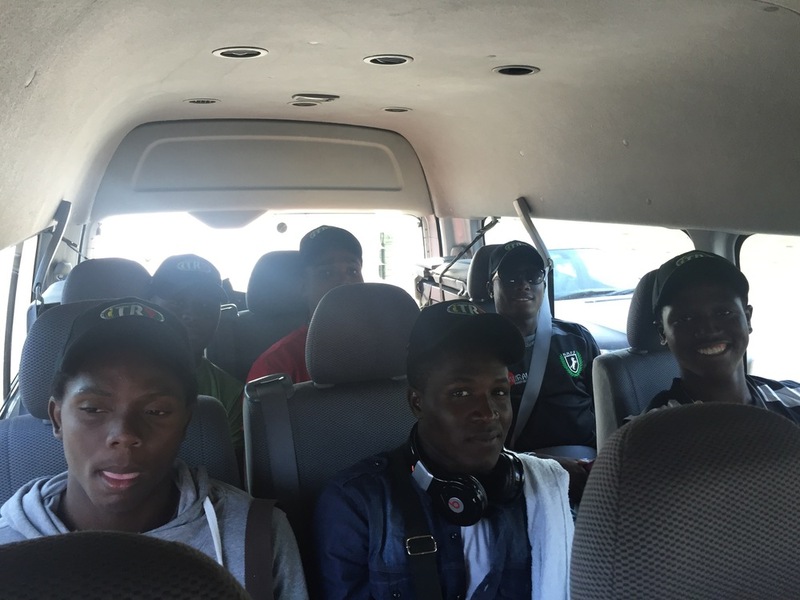 Barewa make up the bulk of the North Nigeria representative team who travel to Lagos. The North squad, selected at the Probables v Possibles trial in Kaduna the week previously, travelled south with a large contingent of Barewa players. The annual series of N v S matches gives players an opportunity to experience representative rugby, and hopefully, a chance to catch the selectors eye and gain a spot in the Nigeria national squad. So, much is at stake. The North prepare to leave their hotel in Lagos enroute National Stadium, Surulere. The North came with a gameplan based on territory via a kicking game and were expertly marshalled by Nuhu Ibrahim at fly-half and Hassan Mohammed at scrum-half. The match was only the second senior match ever for Hassan, but his crisp service and 50m box kicks pinned the South in their 22 for long periods of the game. Eventually the pressure told when a well-worked backs move resulted in full-back Bashir Usman powering over the line. Final Score: South 6 - 15 North.